This Oct. 15, 2018, file photo shows a security guard pass a document to a colleague outside Saudi Arabia's Consulate in Istanbul. Signaling a major pivot in its narrative, Saudi Arabia on Thursday said evidence shows that the killing of journalist Jamal Khashoggi was premeditated, an apparent effort to ease international outrage over the death of a prominent critic of Crown Prince Mohammed bin Salman. The Saudi prosecutors cited Turkish evidence that the slaying was planned, contradicting a Saudi assertion just days ago that rogue officials from the kingdom killed him by mistake in a brawl inside their Istanbul consulate. That earlier assertion, in turn, backtracked from an initial statement that Saudi authorities knew nothing about what happened to the columnist for The Washington Post, who vanished after entering the consulate Oct. 2. The shifting explanations indicate Saudi Arabia is scrambling for a way out of the crisis that has enveloped the world's largest oil exporter and a major U.S. ally in the Middle East. But a solution seems a long way off, partly because of deepening skepticism in Turkey and elsewhere that the brazen crime could have been carried out without the knowledge of Prince Mohammed, the kingdom's heir apparent. At a conference in Riyadh on Wednesday, the crown prince said the killing was a "heinous crime that cannot be justified" and warned against any efforts to "manipulate" the crisis and drive a wedge between Saudi Arabia and Turkey, which are regional rivals but also diplomatic and business partners. Turkey's president wants Saudi Arabia to allow 18 suspects that it detained for the killing of journalist Jamal Khashoggi to be tried in Turkish courts, setting up further complications with the Saudi government. On Thursday, Prince Mohammed attended the first meeting of a committee aiming to restructure the kingdom's intelligence services after the killing of Khashoggi, the state-run Saudi Press Agency said. Khashoggi's death has derailed the powerful prince's campaign to project a modern image of the ultraconservative country, instead highlighting the brutal lengths to which some top officials in the government have gone to silence its critics. Khashoggi, who lived in self-imposed exile in the United States for nearly a year before his death, had written critically of Prince Mohammed's crackdown on dissent. A statement by Saudi Attorney General Saud al-Mojeb attributed the latest findings of a joint Turkish-Saudi investigation to information from Turkish counterparts. The evidence of Turkish investigators "indicates that the suspects in the incident had committed their act with a premeditated intention," the Saudi government statement said. 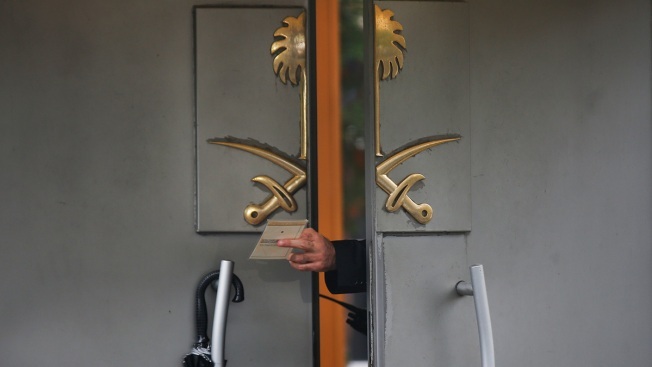 After the journalist disappeared, Saudi Arabia initially insisted Khashoggi had walked out of the consulate after visiting the building. It later dropped that account for a new one, saying it had detained 18 people for what it described as an accidental killing during a "fistfight." What U.S. President Donald Trump called "one of the worst cover-ups in the history of cover-ups" was revealed to the world by Turkish leaks of information, including references to purported audio recordings of the killing, and security camera footage of the Saudi officials who were involved as they moved around Istanbul. Saudi officials told The Associated Press this week that the kingdom sent a team to Turkey that included a forensics expert and a member whose job was to dress in the 59-year-old writer's clothes and pretend to be him — though they were insisting as late as Tuesday that his death was an accident. Some members of Congress say the U.S. must act against Saudi Arabia if the country's leaders are responsible for the killing of journalist Jamal Khashoggi, but they differ on exactly what that action would entail. As the shocking revelations mount, Turkey is pushing Saudi Arabia for more detail. "Jamal Khashoggi's body still hasn't been found. Where is it?" Turkish Foreign Minister Mevlut Cavusoglu said at a news conference with his Palestinian counterpart. "There is a crime here, but there is also a humanitarian situation. The family wants to know and they want to perform their last duty," Cavusoglu said, referring to hopes for a burial. CIA Director Gina Haspel on Thursday briefed Trump on the evidence about Khashoggi's death that she reviewed during a trip to Turkey. The White House did not release any details of their meeting. Also on Thursday, Human Rights Watch said that Khashoggi's son, Salah, and his family have left Saudi Arabia for the United States after a travel ban on them was lifted. Saudi media showed Salah Khashoggi meeting Tuesday with the crown prince, who reportedly expressed his condolences. 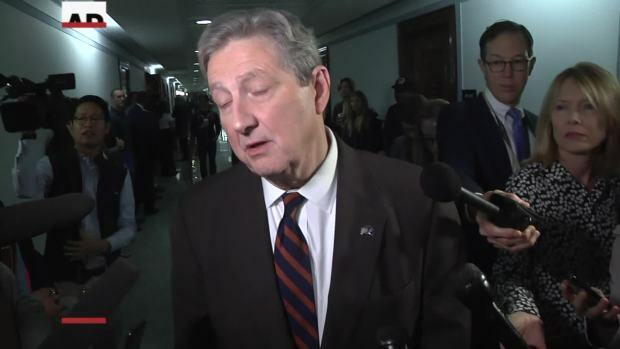 Secretary of State Mike Pompeo "made it clear to Saudi leaders that he wanted Salah Khashoggi to return to the United States, and we are pleased that he is now able to do so," State Department spokesman Robert Palladino said. President Donald Trump says it "certainly looks" as though missing Saudi journalist Jamal Khashoggi is dead. Conflicting reports surfaced about whether Turkish investigators had searched a well in the garden of the Saudi diplomatic compound as part of their probe. Investigators emptied the well and are awaiting the results of an analysis of the water to determine whether any human remains were dumped there, according to Yeni Safak, a pro-government Turkish newspaper. But Sabah, another pro-government newspaper that has published leaks about the case from Turkish officials, said Saudi Arabia had yet to give Turkish authorities permission for a search. Turkish media have also published a security camera image allegedly showing a vehicle belonging to the Saudi Consulate "scouting" a forest in the outskirts of Istanbul before Khashoggi was killed. The image, obtained by state television TRT and other media, shows a black car with a diplomatic license plate at an entrance to Belgrade Forest. Turkish President Recep Tayyip Erdogan has said Saudi officials made "reconnaissance" trips to the forest as well as the city of Yalova a day before Khashoggi was killed. Turkish officials have told AP that investigators were looking into the possibility that the journalist's remains may have been hidden at those two locations.